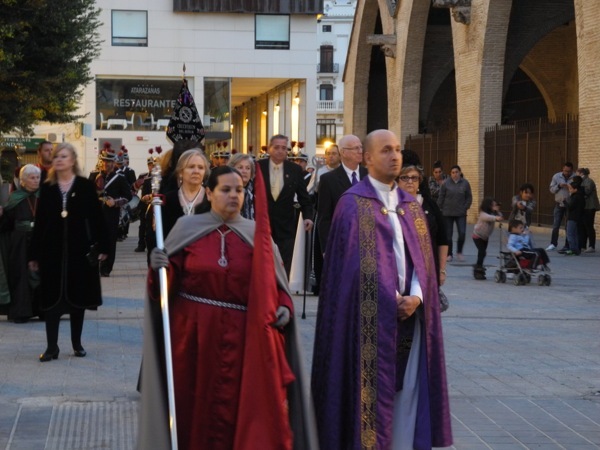 Regardless of your religious persuasion, the way Spain celebrates religious events is worth considering. 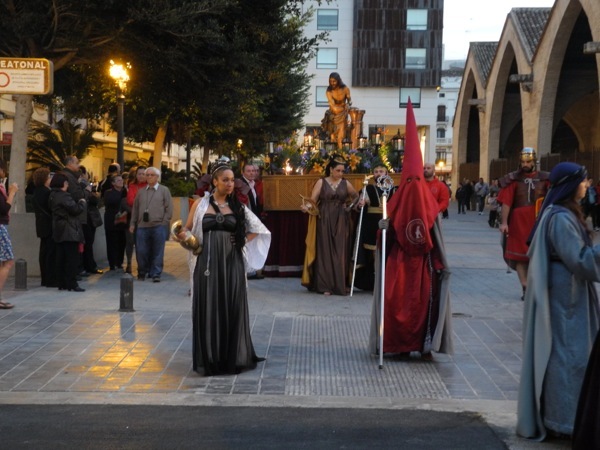 At its core, even Las Fallas has a Catholic tradition, the Feast Day of St. Joseph, to anchor the event to the church. 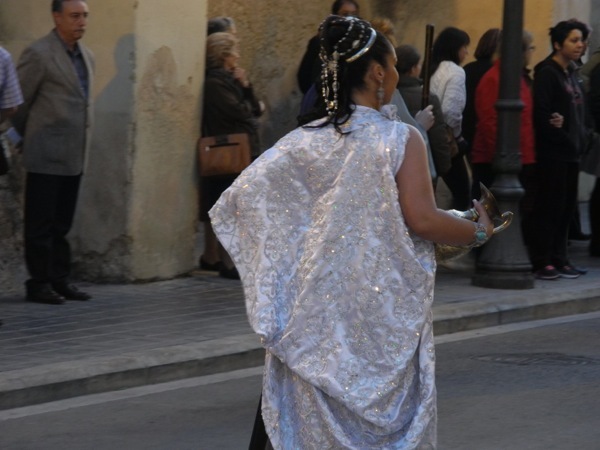 Close on the heels of Las Fallas, Easter arrives with an enormous celebration all its own. 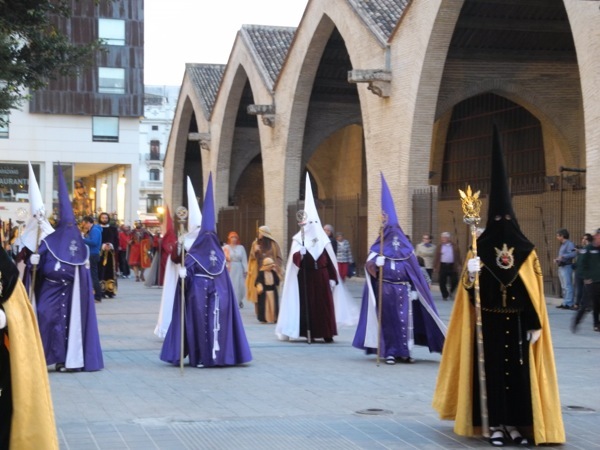 La Semana Santa, or Holy Week, is an integral part of the liturgical Christian churches, and in Spain, there is a new flair to this week that I had not experienced elsewhere. Gentle reader, let’s concern ourselves with the story of Easter for a minute, okay? 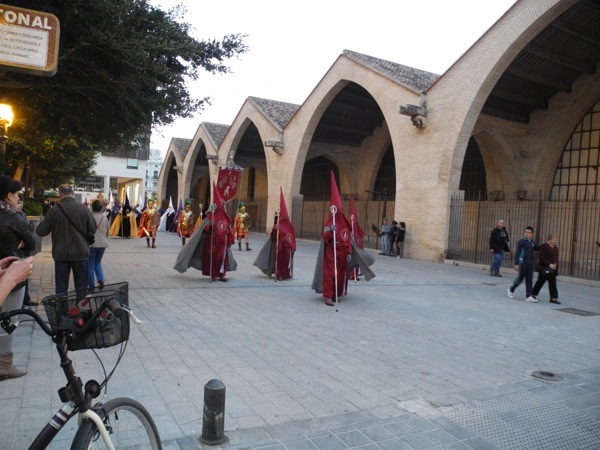 The Sunday prior to Easter is called Palm Sunday, and it celebrates the arrival of Jesus to Jerusalem, where he would be shortly be killed. 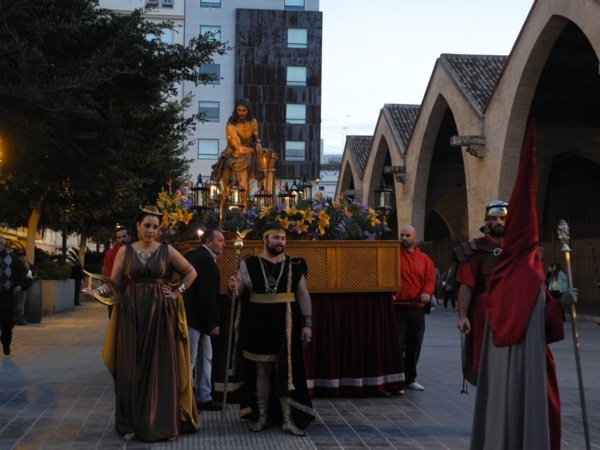 He was recognized by the common people as a king, and they put palm branches down on the road as they would for a king. 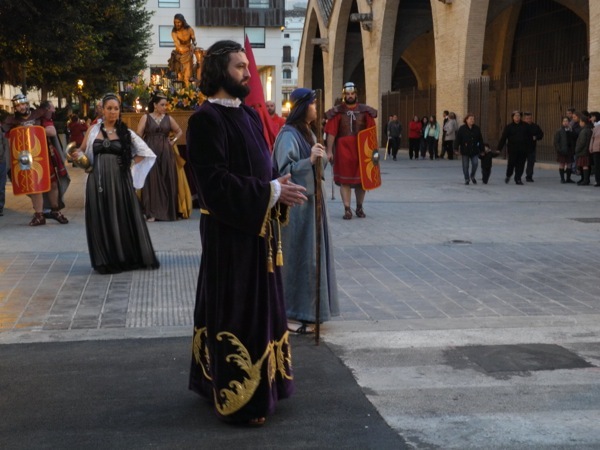 However, when the ruling class got wind of this arrival, they quickly arranged for Jesus to captured and marched off to prison. 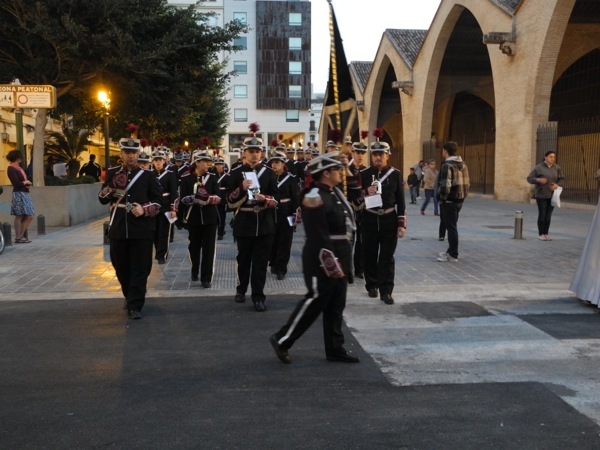 Here in Spain, they commemorate both Palm Sunday and the following day with processions through the streets, and when I visited a friend on the Monday after Palm Sunday, I was able to get pictures of a procession. 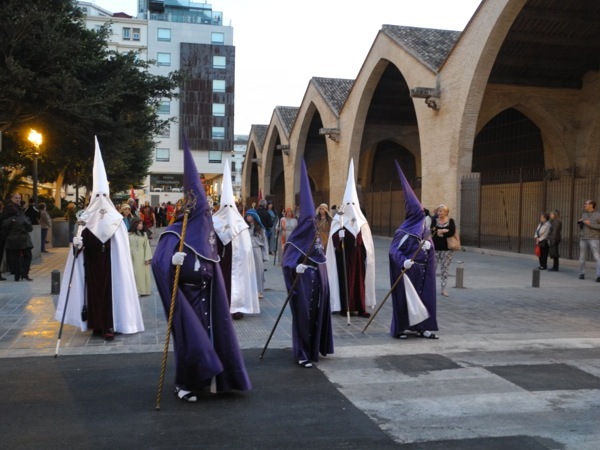 Gentle reader, lest you freak out with some of the costumes, let me explain: the hoods and robes, so similar to racially-charged images in the United States, are used here to indicate deep shame in capturing Jesus. 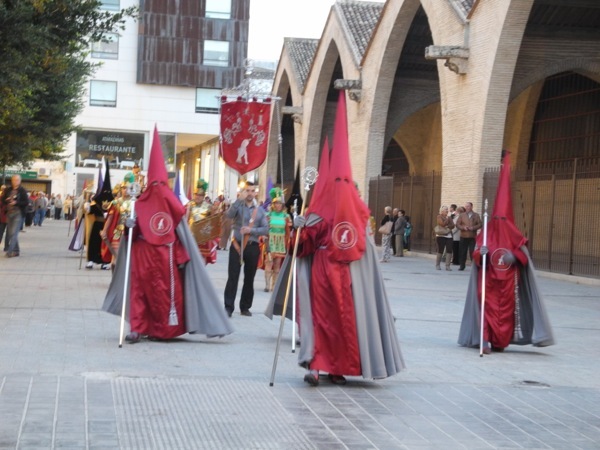 These are penitentes, or sinners, who have hidden themselves in the robes and hoods to hide from others while they pray and serve others for their sins. 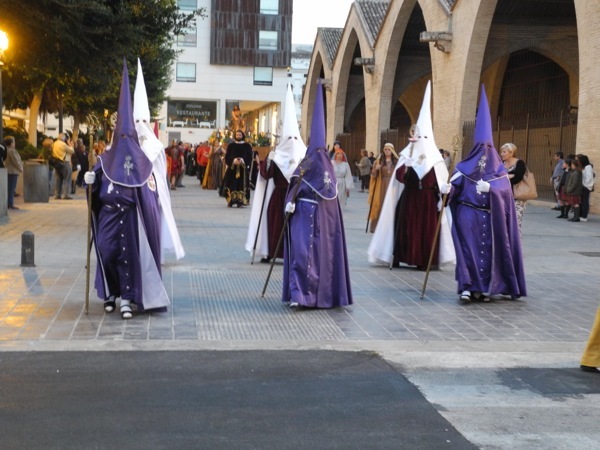 By Easter, the hoods are off and are carried in the Easter procession to demonstrate the “open faith” that the wearers believe. 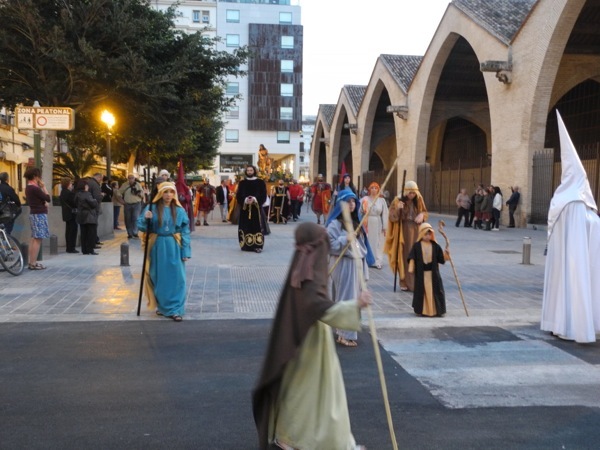 In the pictures below, you see the procession of Jesus to Roman jail, followed by a band playing slow, somber music. 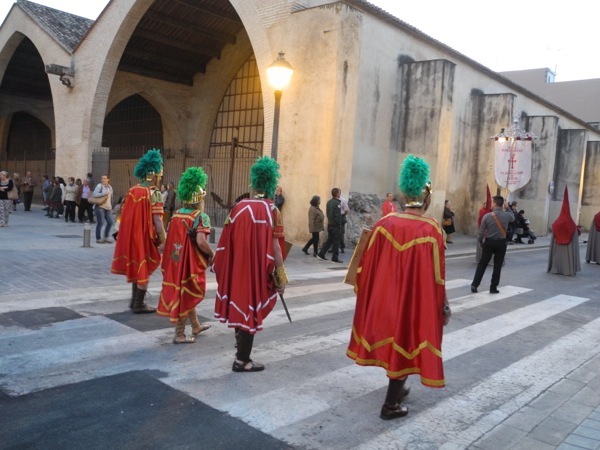 Shepherds, soldiers, and Roman royalty are all represented in the procession. 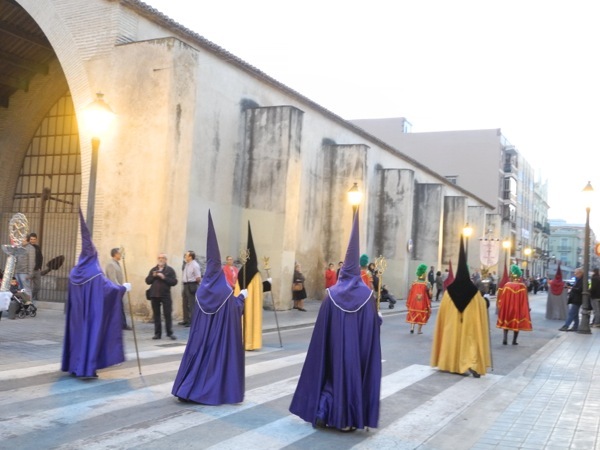 Overall, it is a quiet and slow movement through the streets, calling people to consider their sins and reflect on their faith. Love reading about all of this. Thanks especially for the pictures. By the way, Christopher, your picture looks like a truly elegant Spanish gentleman!! Thanks, Carolyn! 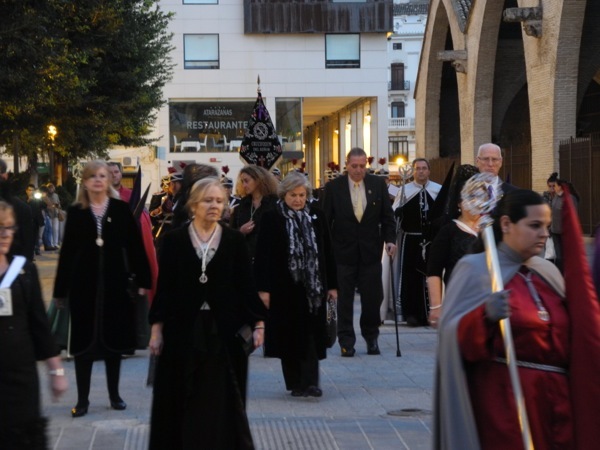 I have a lot of pictures of the Easter procession as well, and it has been fun trying to decide which pictures to put on the website. Thanks for the picture comment, too. I am glad you like the picture! 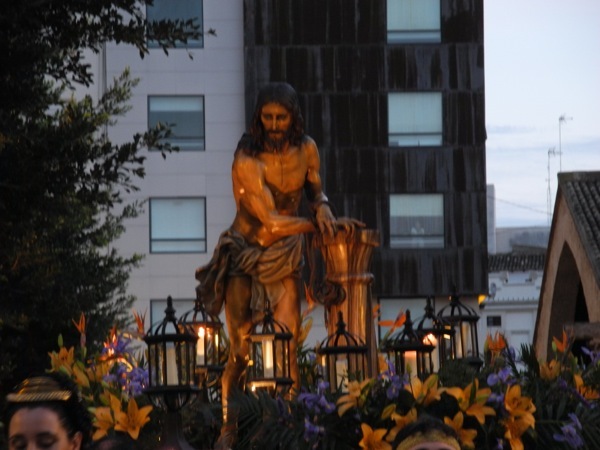 Valencia is my dream city.I always had a wish to there.You have took some amazing photos of The Feast Day of St. Joseph.As if I was there ! It really is an amazing place. Thanks for the feedback!